The Free Society Institute stands with Charlie Hebdo and all defenders of free speech and civil liberty in condemning the murder of two police officers, three cartoonists, and eight journalists in Paris on January 7. As offended as those of the Muslim faith might find blasphemy to be, that offence pales into insignificance compared to the brutality of Islamo-fascist terrorism such as this. Being offended does not grant one warrant for ending the lives of others. The right to free speech does not, however, say anything about when it is wise to exercise that freedom or not.Neither does the fact that these terrorists were recorded as shouting “Allahu Akbar” and “We have avenged the prophet” during their attack tell us anything incontrovertible about Islam in general. Tragedies such as these, that shock and confuse, can make easy answers attractive to us, in that they can lend themselves to stereotype and simplistic analysis. This is not the time for either of these. 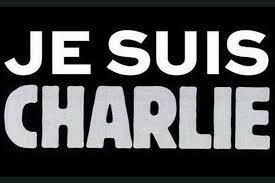 Instead, this is the time for two simple things: to express our sympathy to all who are affected, and second, to recognise that we are all affected, in that freedom of speech is a cornerstone of civilised society, and is slightly more under threat to us all in the wake of the Charlie Hedbo attack.